Walk down any major fashion avenue in the world this fall and winter, and you'll notice a common trend -- practically everyone is layering. While the guy in London's Soho might be wearing a blazer with a knitted cardigan and a dress shirt, the guy in New York's SoHo could be donning a corduroy blazer over a jean jacket and a long-sleeve T. The bottom line is they're layering, and so should you. The smarter you layer, the smarter you'll look. Layering is a great way to combine your favorite pieces and wear something comfortable and flexible, while showcasing your sense of style. It's also very practical; you can slip on an extra layer in the morning when it's still crisp outside, remove it in the afternoon once it heats up, and then slip it back on when the temperature drops after sunset. But before you jump on the layering bandwagon, there are some basic guidelines you must be familiar with -- you can start with the following seven rules to layering properly. The first rule is straightforward and logical: the closer to your skin, the thinner the material. That said, make sure to start with items that are made from thinner fabrics such as a cotton T-shirt, dress shirt or turtleneck, and then layer them with heavier items such as a wool sweater, a corduroy blazer, or a leather jacket. A layer is essentially any item that can be worn on its own and look great. In other words, wearing a tacky wife beater underneath a stylish dress shirt does not qualify as cool layering. 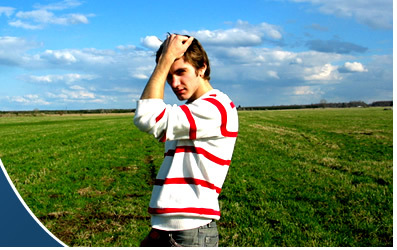 Layering is best used for casual occasions and is generally not appropriate in more formal settings. Keep in mind, however, that a layered combo can include one or more classy pieces, such as a tailored blazer and a fine dress shirt. As a general rule, you shouldn't wear anything that feels uncomfortable. With that in mind, if you can't put your arms all the way down to your sides or scratch the back of your ear, then your layering combination is most likely too thick and therefore, far from trendy. Just because the mercury drops, doesn't mean you have to put a freeze on your color selection. Black, brown, navy, and gray are all great fall/winter colors, but so are lime green, purple and fuchsia...well, at least when worn and combined properly. Be fearless and don't hesitate to spice up your look with a little color. In general, you're better off wearing two or three thinner layers of clothing rather than one thick one -- especially during fall, when the weather can fluctuate drastically. Last but not least, remember that layering must not necessarily include jacket. 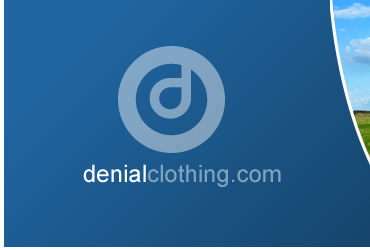 © Copyright Denialclothing.com All rights reserved.